Please be advised that our Melbourne Office will be moving to new premises. Suite 805/806, Level 8, 530 Little Collins Street, Melbourne VIC 3000. 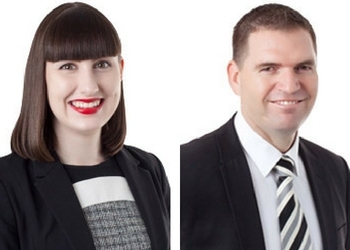 It is with great pleasure to start the new year off with an announcement that effective 1 January 2019, Chiara Becattini has been promoted to Senior Associate in JHK Legal’s Sydney office. Since starting with JHK Legal, Chiara has demonstrated strong legal and leadership skills and has quickly ingratiated herself as an invaluable team member. Chiara practices in a wide range of areas including Business Law, Commercial and Property Transactions, Commercial Litigation and Insolvency. For further information please view Chiara’s profile here. Congratulations to Alison De Marco for completing her Business Law Specialist Accreditation and also taking out the Highest Achievement award in that category for 2018. Please be advised that our Brisbane Office will be moving to new premises. Level 5, 307 Queen Street, Brisbane QLD 4000. This notification is provided by JHK Legal Australia Pty Ltd.
Regrettably, we advise that our document management provider was the subject of a security breach, possibly during the period of 26 – 28 August 2018. While we are not in a position to provide any specifics, it is possible that confidential details may have been accessed. We are taking this incident very seriously and our document management provider has investigated the extent of the data that has been breached. We are not aware of any data having been accessed. Regardless, we are notifying all clients and colleagues so that you can take sensible precautions. 6. Take appropriate security measures such as updating your software and ensuring the back-up of your system is secure and is not connected to your network. Please be assured that we are taking this incident very seriously and are continuing to investigate the extent of any unauthorised access to data. We do not expect to provide you with any further updates, as an investigation has been conducted, and we are not aware of any particular access or use of data. Regardless, if there is an unexpected update, we will be sure to advise. We recommend that you retain this notification to use as evidence of the breach should you become aware of any suspicious activity in relation to your affairs. Please be assured of our continuing commitment to preserving your confidentiality. Amazing result by JHK Legal’s Sarah Jones, winning Partner of the year for Banking and Finance, published in the Lawyers Weekly article. Congratulations Sarah!!! Please be advised that our Sydney Office have moved over the weekend. Not only do the appointments reflect the past achievements of each of the individuals as they have progressed within JHK Legal but it also recognises their on-going contributions to the growth of the business through leadership, mentoring, supervision and hard work. 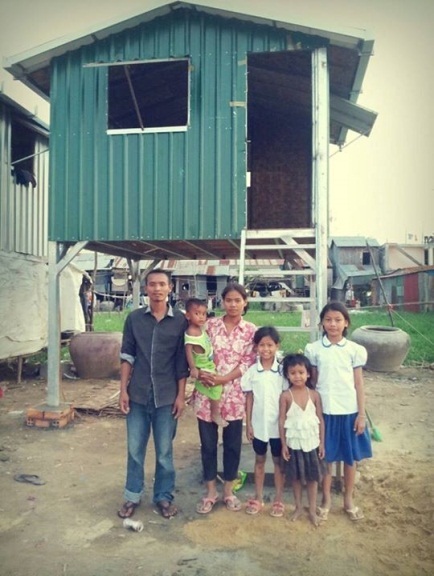 Each year, JHK sends a director and a staff member to Cambodia to participate in the building of two houses by the team at Global Village Housing. 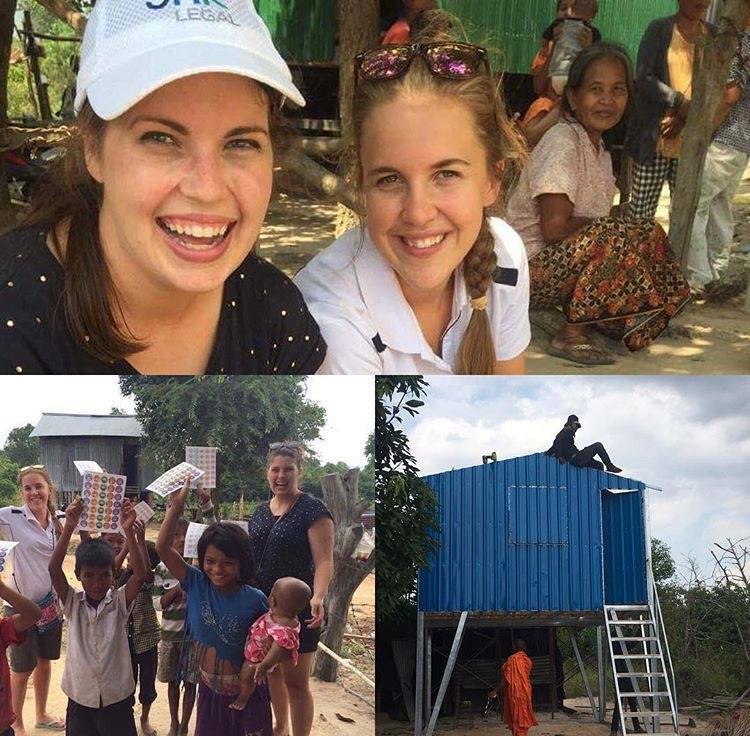 In January 2017, Sarah Jones and Cassandra Garton of our Sydney office headed off to Cambodia for a week. Read about their experience by clicking the link below! 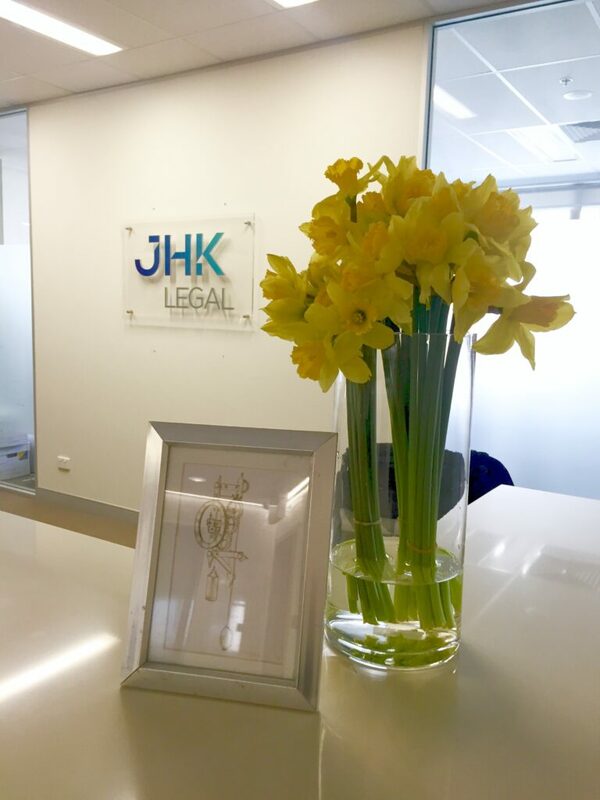 JHK Legal supporting Daffodil Day and cancer research! Ishita’s Work Experience at JHK Legal! In July 2016 we welcomed year 10 student, Ishita Punj from Brisbane Girls Grammar to the firm to learn what it is like to experience the running of a busy law office. Ishita was able to engage in different aspects of the firm and gain valuable knowledge from our fantastic team. Not only did she participate in every day administration tasks but she also benefited from attending court and learning what it’s like to be a Lawyer. JHK would like to thank Ishita for her time and hard work in our office over the week, we wish her the best in her future studies. On Monday, 4 July 2016, JHK Legal Celebrated being open for business for 5 Years! We would like to thank all of our Employees, Clients, Partners, Friends and Family for this exciting milestone. Not only do the appointments reflect the past achievements of each of them as they have progressed within JHK but it also recognises Alicia’s and Clinton’s on-going contribution to the growth of the business through leadership, mentoring, supervision and hard work. We wish them the best of luck as Associate Directors here at JHK Legal. JHK Legal is pleased to announce that out of hundreds of applications from across the country, our very own Patrick Hanrahan has again been named as one of the finalists for the Lawyers Weekly 30 under 30 awards! Congratulations Patrick! 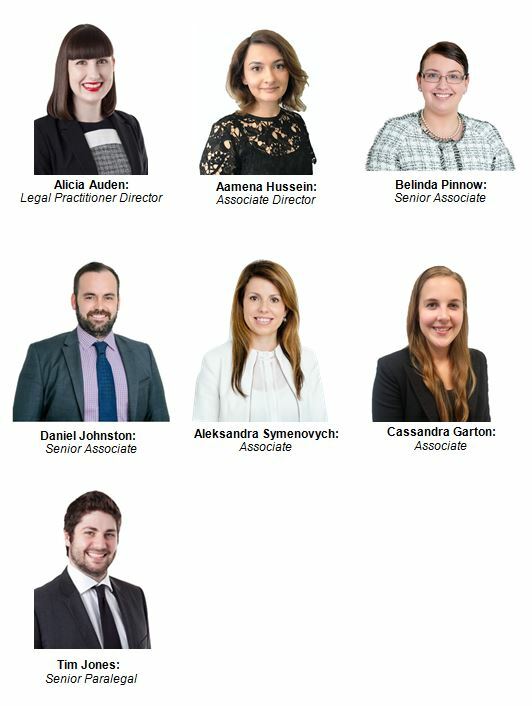 The Lawyers Weekly 30 Under 30 is an exciting awards program that identifies the best young lawyers across Australia. Achieving 30 Under 30 status offers industry-wide recognition for professional competency while highlighting a passion for the law and dedication for personal advancement. The finals will be held in Sydney on the 24th of June, and we wish Patrick the best of luck. JHK Legal were proud to support the QPILCH (Queensland Public Interest Law Clearing House Inc) Queensland Legal Walk on 16 May 2016 in Brisbane and the Sunshine Coast. Our team was out in full force to celebrate the legal profession’s commitment in ensuring all Queenslanders have access to the legal system. We also managed to be in the top ten fundraising teams for the state! We look forward to participating next year and thank all those that made a donation. JHK Legal has been selected as a finalist for this the 2015 Lawyers Weekly Women in Law Awards in the category of Boutique Diversity Law Firm of the Year. The Lawyers Weekly Women in Law Awards, is a national celebration of female talent across the legal industry and a wonderful forum for JHK Legal to be recognised in. Keep an eye on our website for any updates on this achievement. – Kathleen Konkol & Tania Smith as Associate’s. Thank you to those above for their hard work and we look forward to the continued growth of the firm as a whole. In July this year, we had a Year 10 student from St Stephens College undertake work experience at JHK Legal. During her week here, Claudia was able to engage in different aspects of a law firm and gain valuable knowledge from our fantastic team. Not only did she participate in every day administration tasks but she also benefited from attending court and learning what it’s like to be a Lawyer. JHK Legal would like to firstly thank Claudia for her time and we wish her all the best with her future endeavours. It is with great pleasure that we announce that Sarah Jones will become a director and shareholder of JHK Legal on 1 July 2015. Sarah has displayed all the attributes of a leader for JHK to an exceptional level. She has become an invaluable member of the team and in the process has developed her own national client base. Sarah also contributes to mentoring, settling, marketing and is a strong contributor (if not at the times the only contributor) to the “extra” firm issues that are very important for the functioning and progression of the firm such as the firm Wellness Policy. We look forward to continuing such contributions in the future. Our firm also provides pro bono advice and assistance to a number of clients every year. JHK Legal actively participates in many community endeavours and is proud to support to a number of local and national charitable organisations. JHK encourages volunteering and staff regularly give their time to several worthy pro bono initiatives with the largest currently being Sunshine Cambodia. Sunshine Cambodia is a social enterprise that assists in the provision of charitable relief in Cambodia including housing to regional and rural communities. The section of the organisation supported by JHK Legal carries out the construction of robust, sustainable, low-cost and transportable housing in order to provide homes for the impoverished who lack the means to provide for themselves. JHK Legal supported this worthy charity by providing legal assistance without charge in its infancy as Global Village Housing and now that charity has become part of Sunshine Cambodia we are providing practical assistance by providing the funding annually for the construction of 2 dwellings and sending 2 JHK Legal staff members to Cambodia to assist with the construction of those dwellings. Lawyers Weekly Article – Boutique firms take on big end of town. After being named as a finalist in this years 30 Under 30, our very own Patrick Hanrahan features in a recent article outlining the strength of boutique firms across the country. A JHK Legal team participated in the QPILCH (Queensland Public Interest Clearing House Incorporated) Legal Walk that took place on 12 May 2015. The Legal Walk raises money for QPLICH, a not-for-profit, community-based legal organisation that coordinates the provision of pro bono legal services for individuals and community groups. Thank you all for your generous support, we managed to raise a total of $670.94 as a team! We look forward to supporting this event again in 2016. JHK Legal is pleased to announce that out of hundreds of applications from across the country, our very own Patrick Hanrahan has been named as one of the finalists for the Lawyers Weekly 30 under 30 awards! Congratulations Patrick! The finals will be held in Sydney on the 5th of June, and we wish Patrick the best of luck.